It is no secret I am a big fan of the sunset in Mazatlan. And after many of the sensational sunsets in the coastal city known as the Pearl of the Pacific, I decided to share one with a different twist. I decided to share one not with the Pacific Ocean in the background. 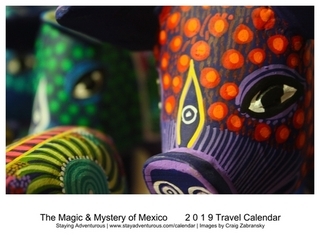 Recently while attending Carnaval in Mazatlan, I watched sunsets at the RIU Hotel, a sunset at the Carnaval Parade, and also a sunset in the Plaza de Toros. 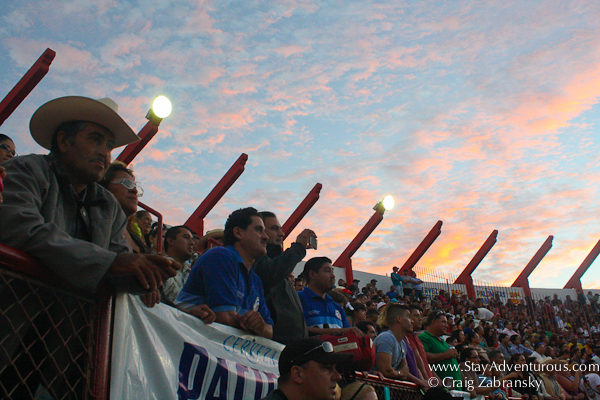 Mazatlan has a bullfighting ring, a Plaza de Toros. 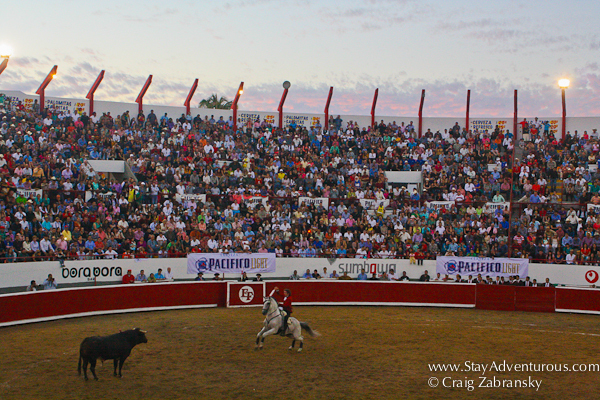 The stadium designed to watch the “sport” of bullfighting is used on average five times a year. And although it was sold out, apparently the sport is not as popular as in years past. But whatever your thoughts on the spectacle, it is hard argue with the performance the Spainard Pablo Hermoso de Mendoza gave the crowd. Before we entered, I learned he best in the world at what he does and after watching him, I can see why people say that. He performed. Pablo Hermoso de Mendoza didn't seem to watch the sunset like I did... he was busy. Pablo Hermosos is a rejoneador, a name given to a bullfighter who fights the bull on horseback. Unlike the matador he doesn’t fight the bull from the ground at all, he never leaves his horse (or horses). The rejoneador uses multiple horses for the different aspects of the bullfight. At times there is a need for speed (when the bull is strong and fast) and other times grace (to delight and impress the crowd). He would actually leave the ring and change horses. And I learned, Pablo Hermoso had his horses (you need to build a relationship with a horse to command it the way he does) flown in from Spain. And I am glad he did as he demonstrated such skill, pose, and patience. In fact at times you almost forget it was a bullfight, but you are reminded at the end that is for certain. And although the clear star of the evening was Pablo Hermoso de Mendoza, the other star provided interesting light during one of his two bull flights. Happy Sunset Sunday. I want to thank the Mazatlan Hotel Associations for access to the event. Also, this image is part of the 2013 Mexican March Madness. This year it will consist of 31 photos in across the 31 days of March.